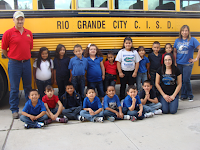 Grulla Elementary would like to give a big thanks to all its bus drivers for coming to our campus and showing our students and staff how important bus safety is for everyone. Students and staff were able to watch a video and participate in a bus escape drill with the RGCCISD School Bus Drivers and the Transportation Department. Again thank you and keep doing a wonderful job. 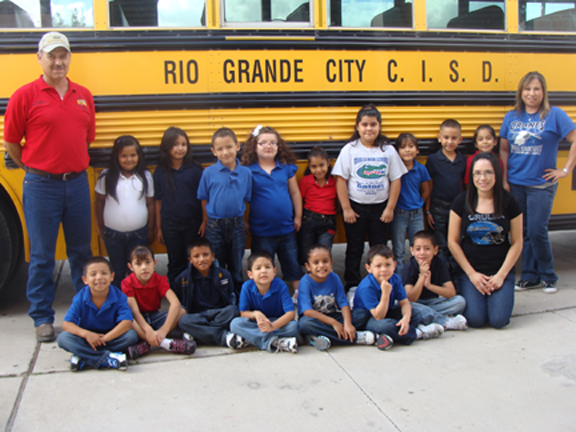 Pictured is Ms. J. Flores 1st grade class.